This natural lip balm is TLC for your lips! It is vitamin enriched while it moisturizes and soothes your lips. 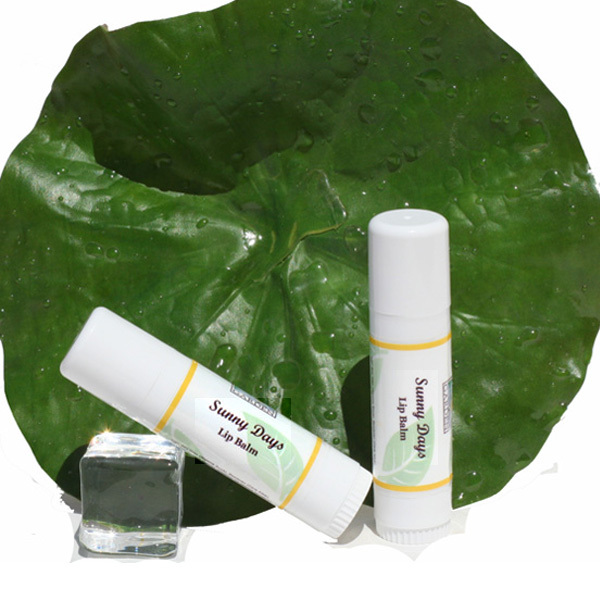 Sunny Days lip balm is made with natural jojoba and pure mango butter. This natural lip balm is TLC for your lips! It is vitamin enriched while it moisturizes your lips. Helps prevent cracking, so lips stay soft and kissable. It contains no artificial sweeteners, preservatives or colors. Sunny Days Lip Balm has a hint of natural citrus. Ingr: Soy Wax, Beeswax, Almond Oil, Coconut Oil, Jojoba Oil, Natural Mango Butter, Vit. E. Essential Oils Blend.